On the 20th anniversary of the disappearance of Damien Nettles, Police say that any new searches would have to be based on verifiable information and not “fictions fuelled by the repetition of rumour”. Police share this update in the case of Damien Nettles. 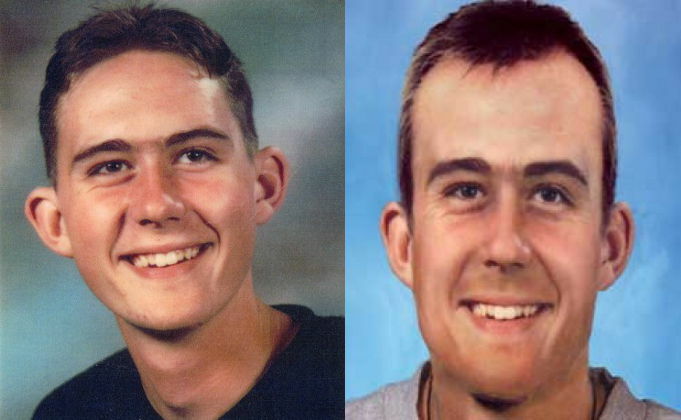 Hampshire Constabulary’s files for the case of a teenager, who went missing 20 years ago this week, are staying open for any new facts that can be reported to police. 16-year-old Damien Nettles was last seen in Cowes on the Isle of Wight on Saturday, November 2, 1996. The final confirmed sighting of Damien on surviving available CCTV was in the former Yorkie’s fish and chip shop off Cowes High Street at 11.35pm on November 2, 1996. Damien was also positively identified by his family from CCTV on Cowes High Street at 12.02am on Sunday, November 3, 1996. This footage showed Damien walking to a bus stop and then back along the High Street eating chips. Hampshire Constabulary is aware of a petition calling for extra funding towards a police investigation. At this time, no new facts and no new lines of enquiry have been identified; this includes an assessment of information received following a BBC Three documentary published in July this year about the case. Any further investigations or searches for human remains would require a substantial investment of police time, expertise and resources. Officers would need verifiable information to justify such a search. A key point to repeat and remember is the reporting of any new facts, not fictions fuelled by the repetition of rumour. Regular checks of information reported to police will continue to be made by Hampshire Constabulary’s Major Crime team. A detective keeps in contact with the Nettles family about any updates, and opportunities to raise awareness of the case such as public events and anniversaries related to Damien. 1,134 people involved in the investigation (either as investigators, witnesses, or people of interest) since Damien Nettles disappeared on November 2, 1996. 357 witness statements have been taken to date since November 2, 1996. 2,553 documents have been reviewed and processed. Between 2010 and 2012, it was necessary for detectives to concentrate on analysing and acting upon the information already passed to police by the local community. This analysis led police in 2011 to arrest eight people who were questioned over the course of a year, and later released with no further action. Officers focused on completing existing enquiries while multiple suspects were on bail. We did not charge anyone with a criminal offence. Murder or foul play cannot be ruled out. Hampshire Constabulary offered a £20,000 reward between October 4, 2012 and April 4, 2013 for facts leading to the location of Damien Nettles. Police received 30 reports of information. Each of the 30 reports of information has been analysed and assessed in line with police procedures. None of the information led to new lines of enquiry. However, the case was not closed. A decision was made in November 2013 for the files on Damien Nettles to remain open for ongoing checks, following an extensive review of all information gathered. For more information, go to Hampshire Constabulary’s Website.